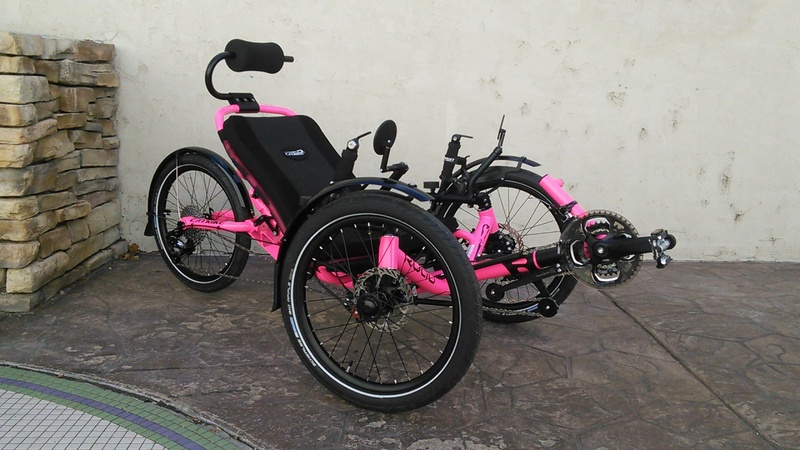 The Catrike Road AR is a vibrant and efficient machine. 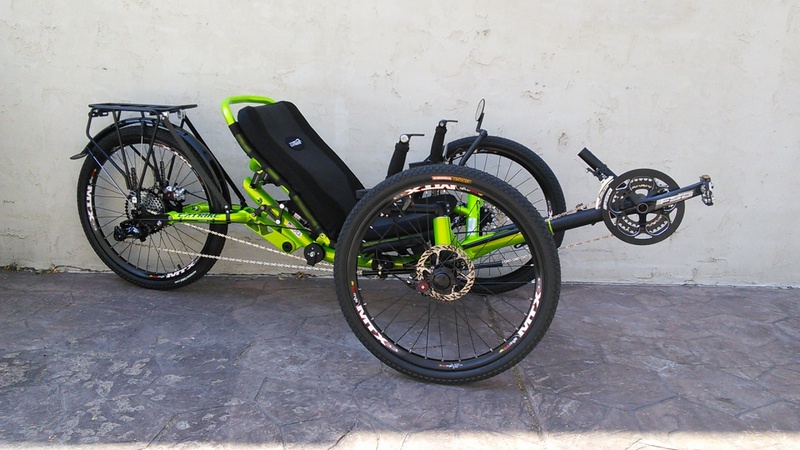 A full suspension recumbent trike that is still lightweight and fast. 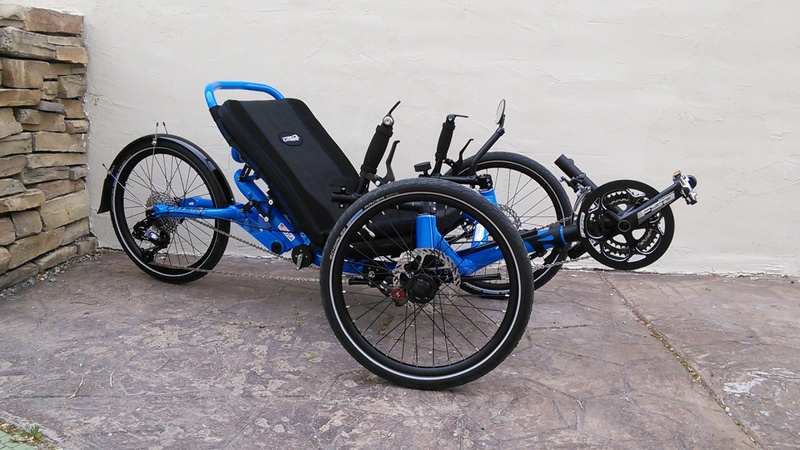 The progressive linkage air shock and CNC swing arm provide a highly adjustable suspension platform paired with Catrike's front suspension to take the edge off the road for a smooth ride. An optimized cockpit design is supportive enough for a comfortable daily ride, commute or weekend adventure without sacrificing any control or performance. Lean into the corners with confidence. The Road-AR brings excitement to the journey.